Advanced technology refined at the Le Mans 24 Hours race is being used to help athlete Andrea Eskau target success at the Pyeongchang and Tokyo Paralympic Games, through an expanded relationship with Toyota Motorsport (TMG). The German racer will compete in the winter games in South Korea next year with a new ski sled, designed with weight-saving techniques sourced from TMG’s competition programme. Andrea has worked with the race team for the past five years, during which time she has achieved gold medal success at both summer and winter Paralympic Games, competing in road cycling, cross-country skiing and biathlon. 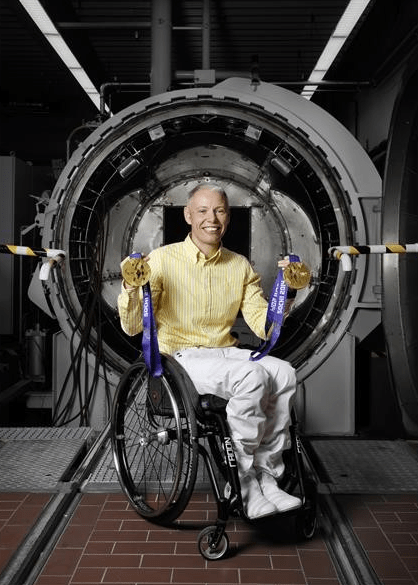 The latest chapter in this partnership has seen bespoke equipment created for her, with the ultimate aim of helping her achieve gold using TMG technology at Toyota’s “home” games in Tokyo in 2020. Andrea, who lives close to TMG’s Cologne headquarters, is focused on improving her equipment in the same way that a racing driver is constantly thinking about how their car might be improved to achieve quicker lap times. She is a professional psychologist and was a keen amateur athlete as a young woman, competing in cycling and triathlon events. In 1998, a cycling accident caused a severe spinal injury and left her unable to use her legs. After first experimenting with wheelchair basketball, she found her sporting passion in road racing and then Nordic skiing. 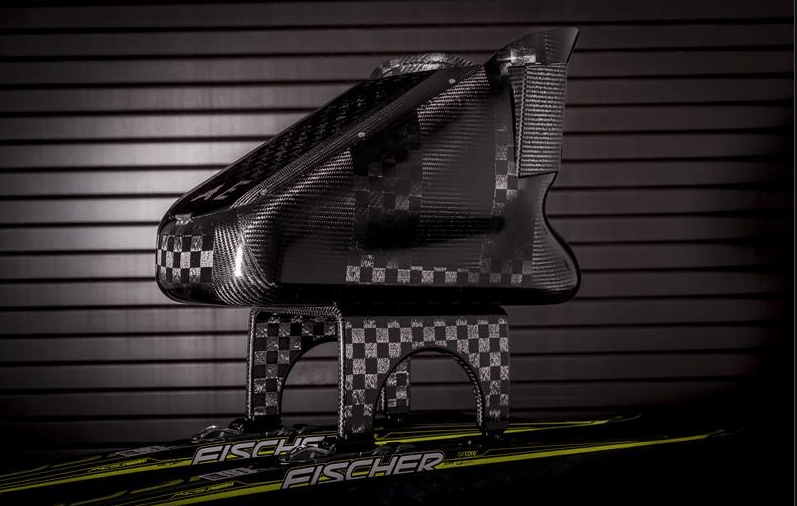 Weight reduction was a major focus for her new ski-sled design, so TMG’s designers used advanced carbon fibre lay-up processes to minimise the amount of material needed while retaining strength in all key areas. This achieved an incredible weight reduction of more than 30 per cent, which has a direct performance benefit for Andrea as it reduces the mass she has to propel around the 6km course, using her upper body strength alone. TMG will follow Andrea’s progress closely over the next months with regular video features. The next episode will come in late November, taking a more detailed look at the development and testing of her new ski sled.